“I’m based alone in the city for 32 years, I visit my patients at their home in the morning, and at my private clinic in the afternoon. I have practiced physiotherapy during 15 years in women’s rugby, and now I’m in golf and handi-golf. I use the Winback equipment since its beginning. I started using a competitor’s device, and then I got introduced to Winback’s hardware and policy. I got convinced immediately. 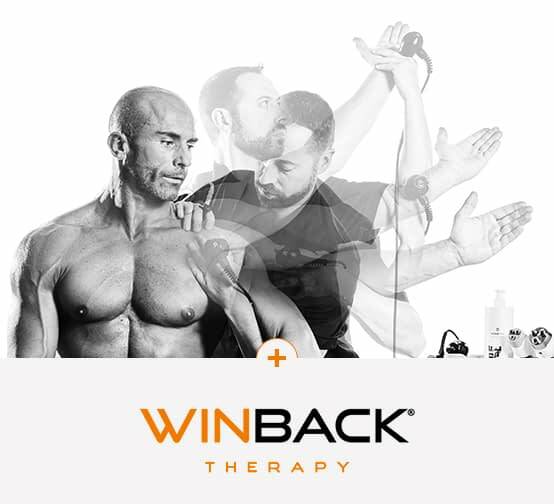 I tried the Winback 6.0 on myself during a training last year, about tendinopathies. Winback 6.0 was also presented. As I have big arthritis problems in one hand – very painful and recalcitrant – I tried. After this first use, the pain left me for three days. I’m now using it regularly on myself. My goal by acquiring this device was to have a new weapon against recalcitrant and chronic pains. In terms of results, the relief is faster than with the techniques I used before, especially on people who have long-lasting pains. With the Tecar 6.0, I get better results on pain and movement. Regarding the handling, there is no problem, the hardware is very fine. Its advantage is that it doesn’t last long and that it’s effective. I do my classic TECAR sessions and I add the 6.0. It depends on patients, but I use it almost every day. They’re happy because they can see the progress. Generally, feedbacks are positive. This is useful for example on a case of toe fracture with osteosynthsis, where the Winback 6.0 have better results on pain. I also have a case of a tendinopathy on a frozen shoulder (the man is a house painter) which have been relieved and with an important improvement of the ROM, or a recalcitrant heel spur for which I get a symptom relief. These are often chronic pains that we can not really relieve and on which we manage to have an improvement. Compared to previous Winback’s options, the Tecar 6.0 brings an extra advantage on recurrent pains. I feel an improvement that I was getting much more slowly with the “classic” tecartherapy treatment. I would recommend it to my colleagues because it is another tool against chronic pain. This is the main strenght of Winback 6.0.